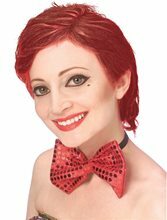 Rocky Horror Brown Magenta Adult Wig.Includes: One Brown Magenta Adult Wig.Available Size: One Size Fits Most Adults.Rocky Horror Brown Magenta Adult Costume Wig.Magenta is the "domestic" in the pop cult classic The Rocky Horror Picture Show. She is Riff Raff's sister and also plays the lips singing at the beginning. Rocky Horror Columbia Adult Wig.Includes: One Rocky Horror Columbia Adult Wig.Available Size: One Size Fits Most Adults. *Costume, Makeup and Other Accessories Not Included. 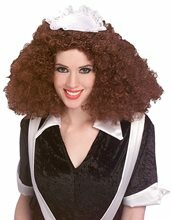 Sold Separately.Create or complete your Rocky Horror Picture Show costume when you wear this officially licensed Columbia adult's wig. Tap dance, tickle your fancy and generally act up!